Dr. Geller says he, personally, doesn’t do dips because they irritate the internal part of the shoulders. The body is not mechanically adapted to pushing against things that are behind it. Dips are an example. They feel unnatural and cause needless stress on the shoulders. Many people with even minor shoulder issues avoid them. 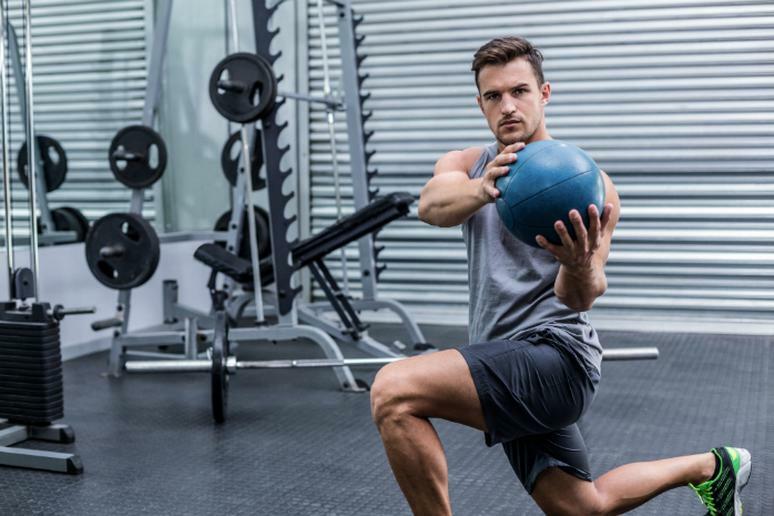 If, however, you decide to take a chance, proper form is crucial to prevent injuries. Don’t let the shoulders go forward and don’t shrug them. They have to be just below the elbows, not any lower, as you dip down. “The disks of the spine don’t like to be twisted,” Barnett says. “It can be dangerous for the back.” Twists combine spinal flexion and rotation, and are unsafe for the lower back. The popular Russian twists and twisted sit-ups are a no-no too. An almost sure way to hurt your back is to lift with a twisted spine because it also bends to the side. That’s just its structure. Muscle strain and herniated disc are common injuries. 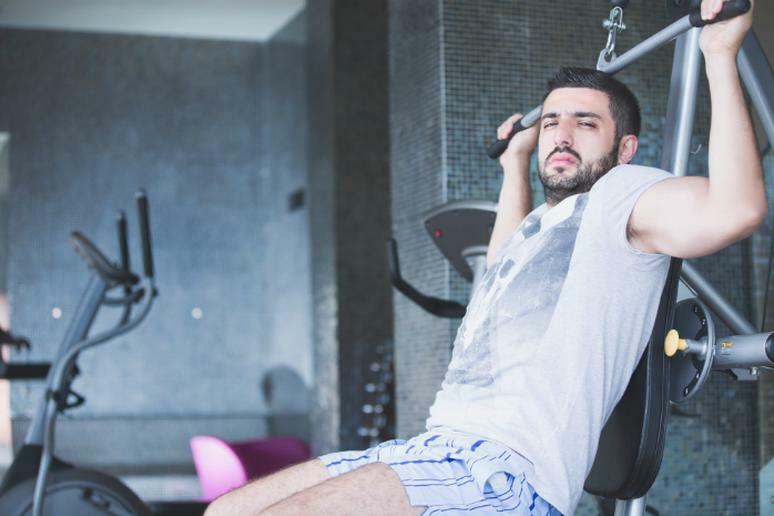 “I prefer exercises that teach people how to move better as opposed to targeting one muscle group at a time,” Leib says. Movements that require you to sit are not helpful, he adds, because you’ve been sitting all day. “You’re only applying the same pressure on your body” and the idea is to move around and as much as you can. “Just because they are popular doesn’t mean they are good for you,” Barnett says. Most people don’t do them correctly and use their hips and lower back. “The legs are angled in and the knees are twisted.” When the lower back is not neutral, it overarches and pinches the joints. “Do more static lunges instead,” she adds. The motion range is limited and more controlled. 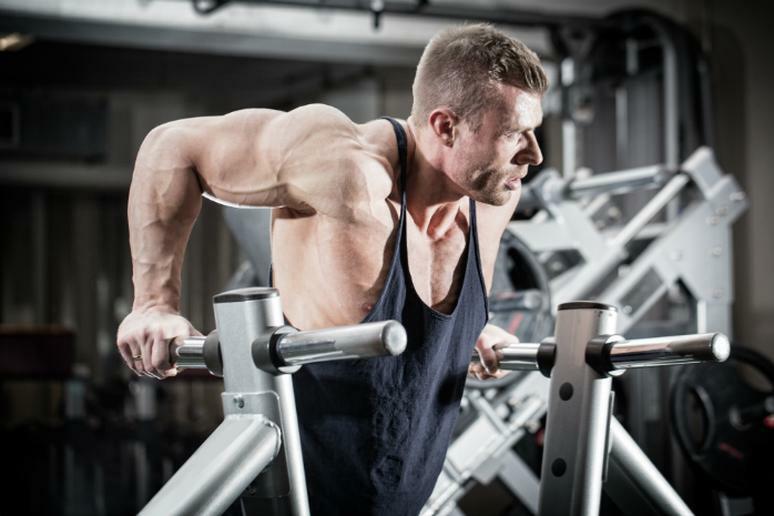 Bench dips are famous but they are another exercise that Barnett says should be avoided. They are considered a contraindicated movement. The shoulders are incredibly vulnerable because they move in an internal rotation and are being stretched too much. You can easily strain the rotator cuff muscles and cause tears in the deltoid. If you want to work out your triceps, doctors recommend doing pushdowns, as they are simpler and more effective. Leib doesn’t like this exercise for a few reasons, again because it requires you to be in the sitting position. It can be detrimental to your shoulders if you don’t have the motion range to do it. “Most people don’t,” he adds. People who perform this exercise should focus on stretching and mobility, Leib says, and not strength. Otherwise, you are putting a lot of unnecessary stress on the muscles that support the shoulders, risking straining your rotator cuff. Neck barbell presses fall in this category as well. 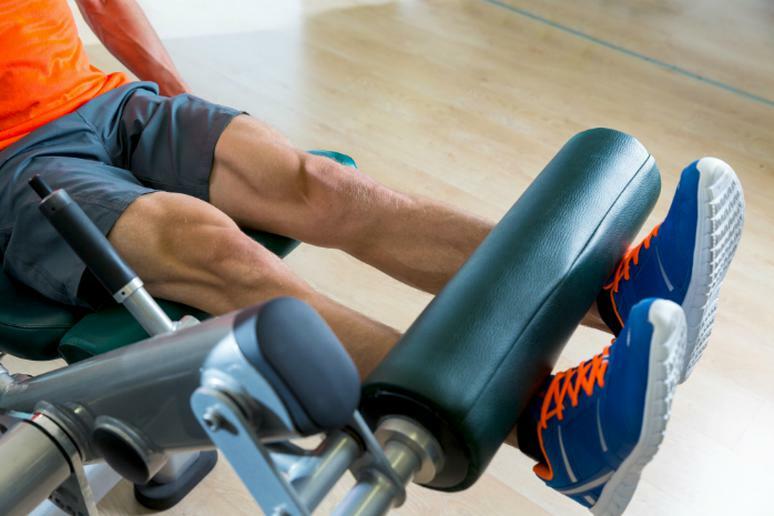 The seated-leg extension machine not only looks unfriendly – it is. It increases the chance of knee problems because it increases the force across the knee cap, according to Barnett. The machine pulls your shins back as you lower the weight. Imbalances between the quads and hamstrings develop, which can lead to numerous knee troubles. The quads are supposed to work with other muscles, not in isolation. 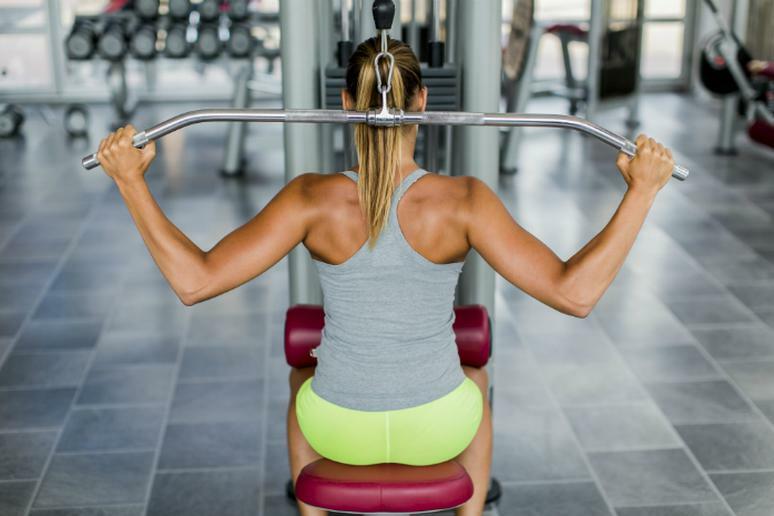 Squats are great to build strength, Barnett says, but adding weights can be detrimental. If you don’t execute proper form, the strain on the knees when going low is a serious issue. 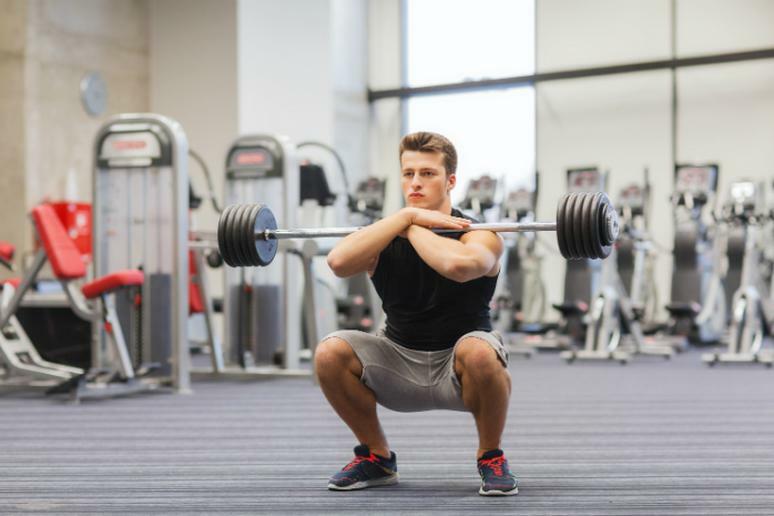 In addition, knee ligaments are unnecessarily pressured during the squatting motion. Doing crunches on the floor puts too much pressure on your neck and lower back. Your abs are tense the entire time which doesn’t make your body move better. “It’s similar to sitting all day,” Lieb says. You are in a crunched position while you are sitting at the desk, staring at the computer or talking on the phone. “Back pain can occur from too much flexion in the spine and from the many repetitions,” he adds. Also, why would you want to spend a lot of time doing an exercise that only works a relatively small area of your body? Bending your spine to the side so much is not recommended. In addition, side bends won’t help you build muscle mass, which is what you want in order to lose the fat there. The body also moves in an awkward angle during the exercise, putting your spine in a weakened position. Holding weights during a side bend can be even more damaging. 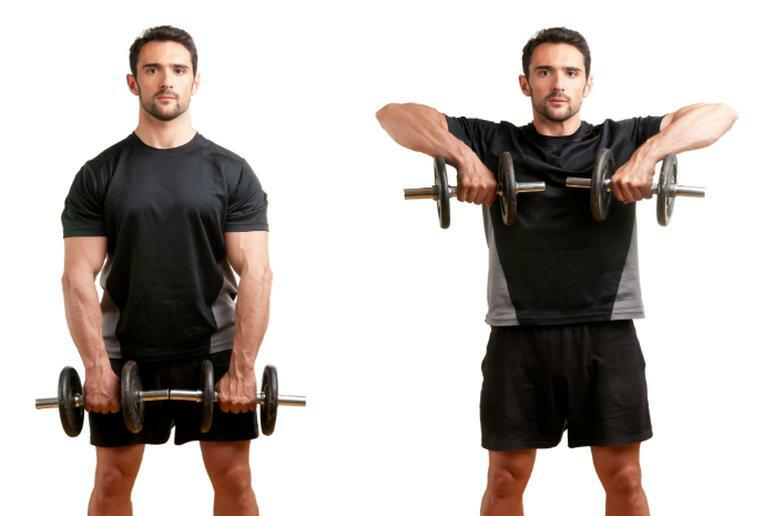 Upright rows expose your shoulder weakness – you are holding weights or a bar while in an internally rotated shoulder position. This is putting too much pressure too close to the joints. 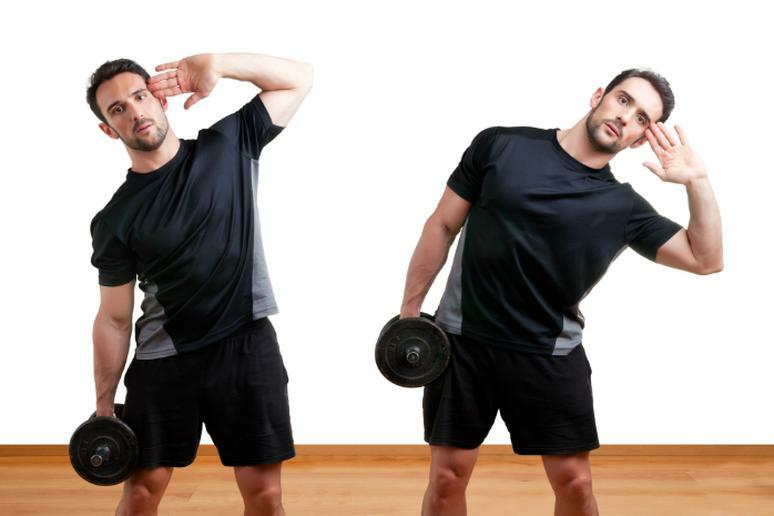 Forming a straight line with the shoulders and hands is very stressful for the muscles. That can lead to bursitis. The rotator cuff can tear from the many repetitions, restricting your movements. Machines that vibrate around the waste are very popular but using them is not exercising, Barnett says. 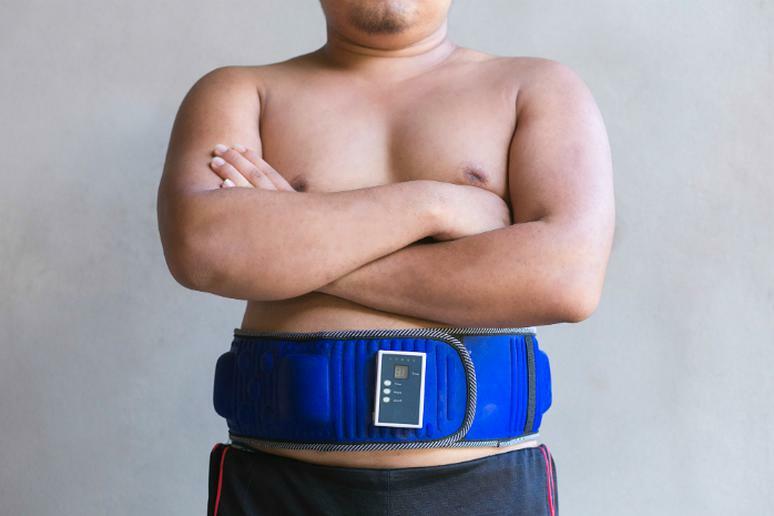 “Vibration belts are a good massage.” They are being sold as toning belts but have an “overstated value.” The companies selling them claim they strengthen the abs and flatten your stomach but that cannot happen if you don’t actually do resistance training.